When I opened the box, I thought the Gro-hush was well presented in a nice travel case. It came with a handy washable cover too. I was a bit disappointed when I found out that the 3AAA batteries needed weren’t provided. 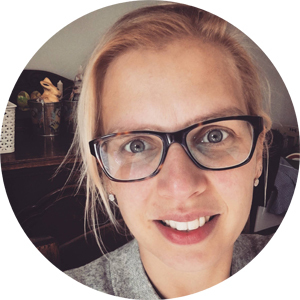 You can imagine, when you are sleep deprived and order the Gro-hush hoping for a quick solution, you wouldn’t want to have to find batteries before you can get started. At £34.99 I do think they should be included. 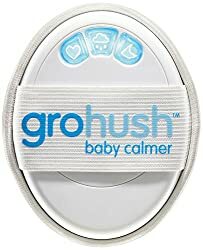 Before I had the Gro-hush, I often played gentle music to calm little man down. It was nice not to need this anymore. 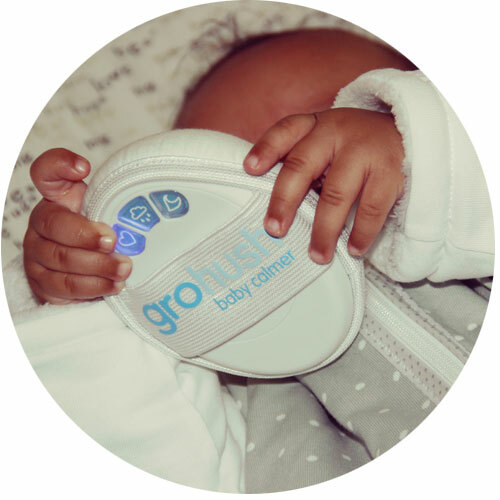 I left the Gro-hush in little man’s bed and sometimes took it with me when out and about. It is small and easy to carry around and can help give some consistency to your baby’s sleep routine even when you are not at home. Because only baby can hear the sound, I could for instance use it in church when trying to get little man to sleep, without disturbing others! I am still not 100% sure if the Gro-hush actually helps! It does provide some sort of distraction and there have been a few occasions where I felt that it did help little man drift off to sleep. For our son, the heartbeat seems to be the most effective of the tree. As it says in the instruction, if there are any things bothering your baby, like teething or cramps, this device won’t do the job. I think it works best when baby is already in a calm and relaxed state. When used consistently, your baby might associate the sounds to sleep time, even on the go. It will probably help the child to stay calm and hopefully fall asleep. Unfortunately, because I couldn’t see a huge difference, after a few weeks I didn’t use the Gro-hush as often as I thought I would. I am wondering if I would have had more use out of it had I used it when little man was younger. It might be most effective for babies between 0-4 months and maybe I just missed that boat.